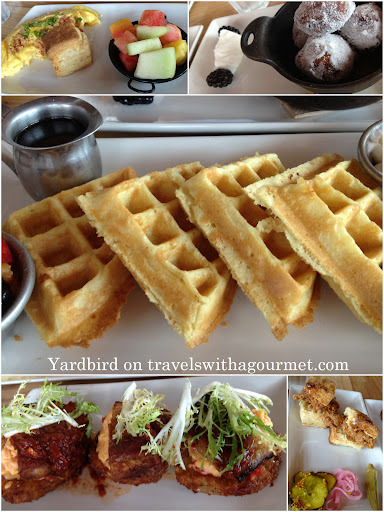 I had read about Yardbird when they first opened less than a year ago and it was mentioned again by the friendly staff at Bazaar as one of their favorites so I knew I had to eat there while we were in Miami. 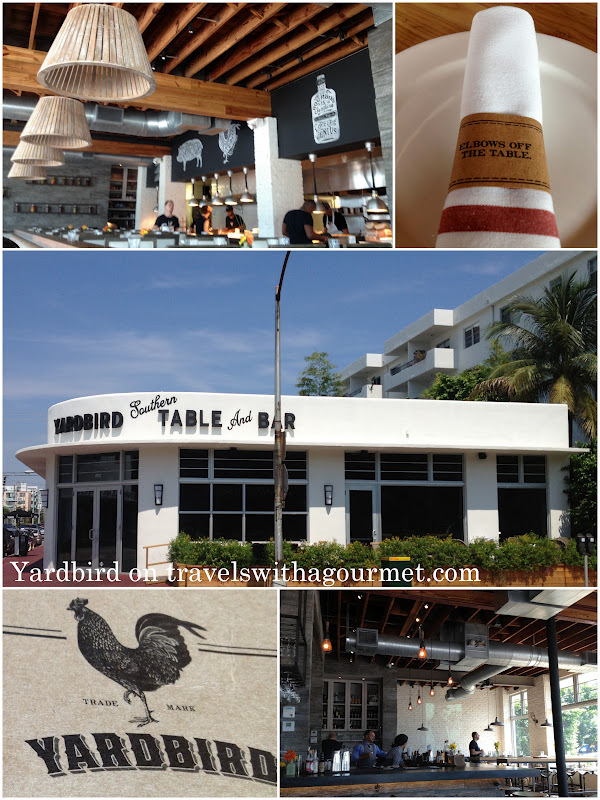 Yardbird Southern Table and Bar is located at the far end (meaning further from the beach) of pedestrian Lincoln road down a street lined with pretty well-maintained apartment buildings. It’s hard to miss the all-white building on the corner with an outdoor terrace for al-fresco dining. The restaurant’s name derives from the southern name for chickens – yardbirds (as in free-range chickens running around the back yard). As we were in Miami only for the weekend, I figured I might as well try their brunch, served Saturdays and Sundays, and with their extensive menu of Southern specialties. After we were comfortably seated at a large round table banquette and had ordered our coffees and fresh orange juices, we had a look at the brunch items served Southern-style in sharing portions labeled shares and big shares. There were five of us having brunch (three adults and two children, aged 10 and 3) so we had to be careful not to over order and also to choose dishes that were kid-friendly. From the Shares section of the menu, we ordered Mama’s Chicken Biscuits and the Fried green tomato BLT because it wouldn’t be a Southern meal without these. We also had the Big Ol’ Waffle and Today’s Omelet from the Big Shares section of the menu plus we couldn’t resist having one of the Fixins (a.k.a. sides) – pumpkin beignets.